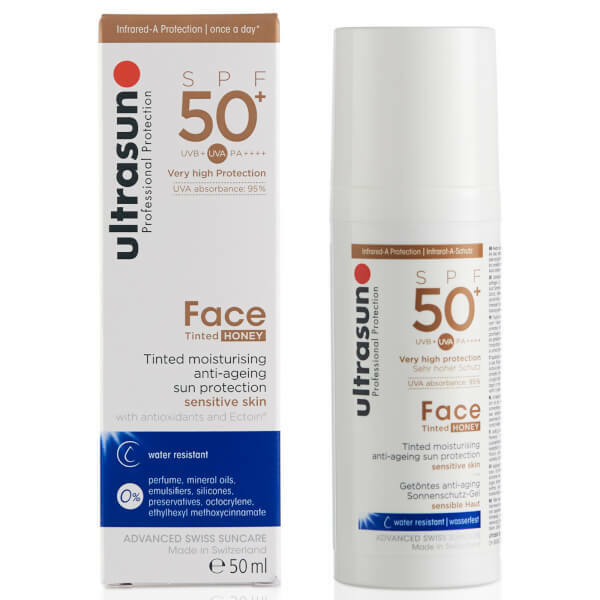 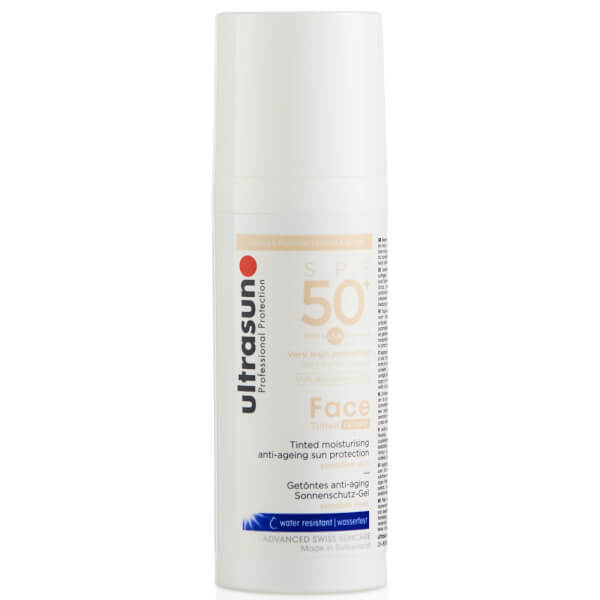 Ultrasun's SPF50+ Tinted Face Sun Cream is a water-resistant, anti-ageing sunscreen that works to provide very high protection from UVA and UVB rays, whilst delivering antioxidant benefits. Fortified with Ectoin®; a rare natural enzyme that shields skin from the effects of UVA induced damage and premature photo-ageing, the fast-absorbing formula can be used in place of your normal day cream for ultimate protection. 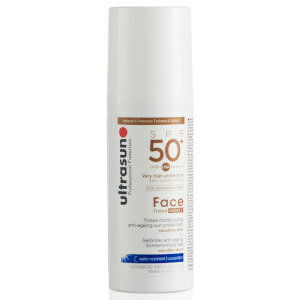 Ideal for sensitive skin, you can expect a natural-looking finish and healthy glow.